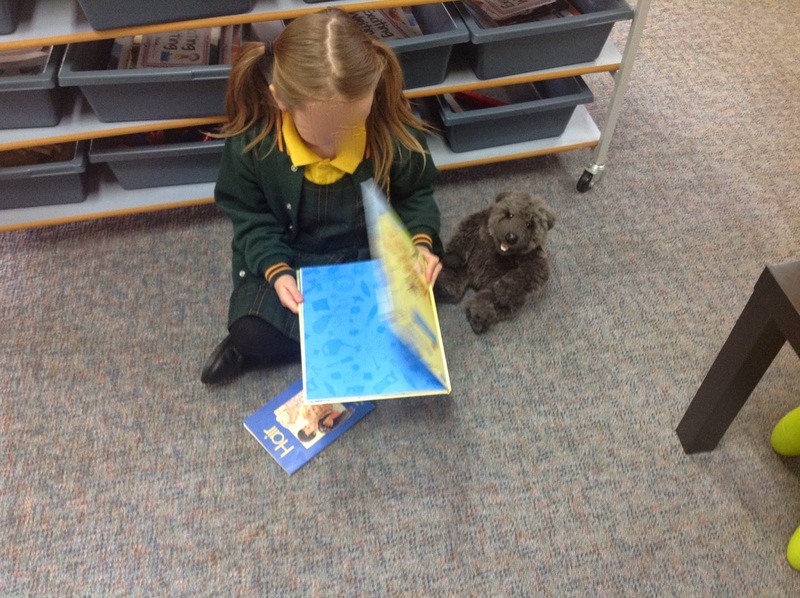 This term we have started Listening to Reading and Read to Someone as part of our guided reading sessions. 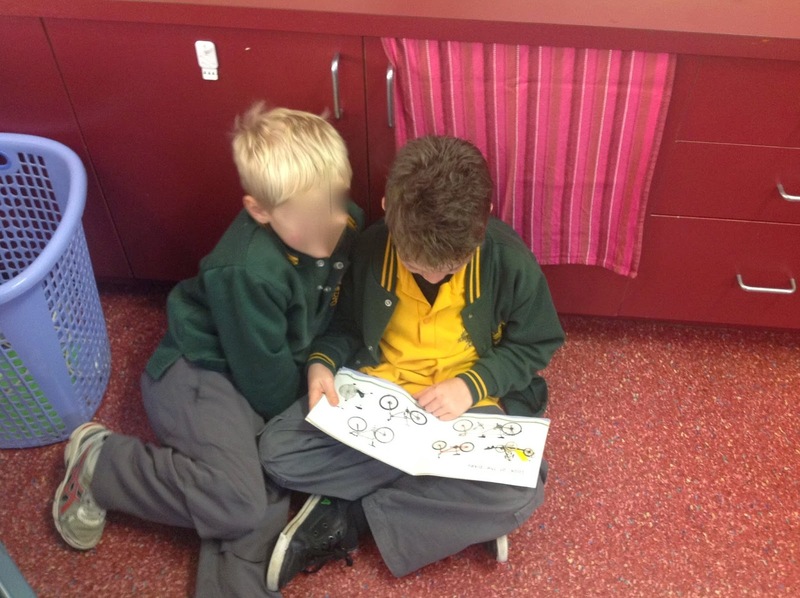 We spent a lot of the start of the year practising how to read and Read to Self so it was time to branch out! 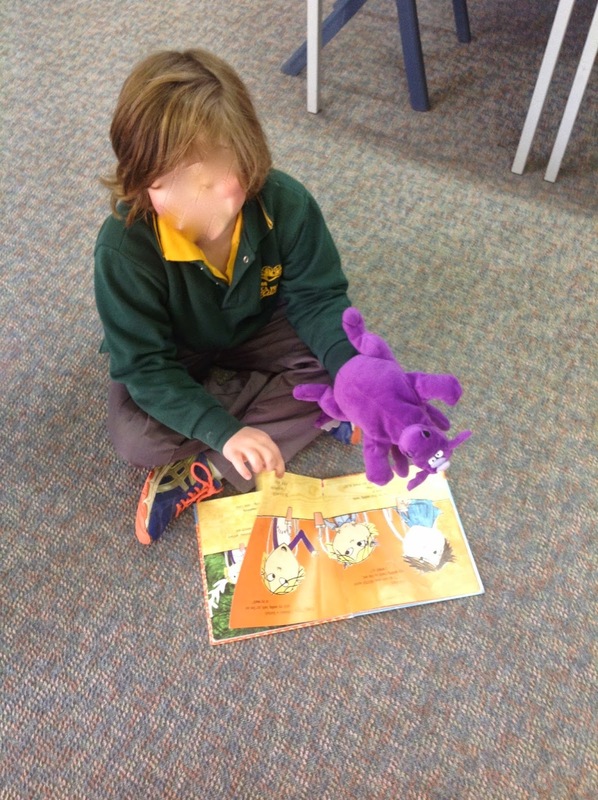 They are so cute, especially when they are reading with a teddy! We are doing such a wonderful job with our reading at the moment - I am so happy with their strategies and comprehension as they read! 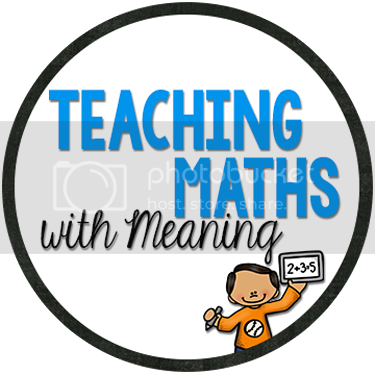 A YAY teacher moment! I love the Daily Five! (It sounds like this is what you are describing!) I teach 2nd grade. The first year I introduced it, it took me a long time to get all five parts up and running. I was especially hesitant about Read to Someone. I just imagined them chatting away, all reading forgotten. To my surprise, they tool it quite seriously. The thing that convinced me was when I had three little boys none of whom were very enthusiastic readers. One day Reece found the Billy and Blaze books. This is a series written on the 30s about the adventures of a boy and his horse. He was fascinated. 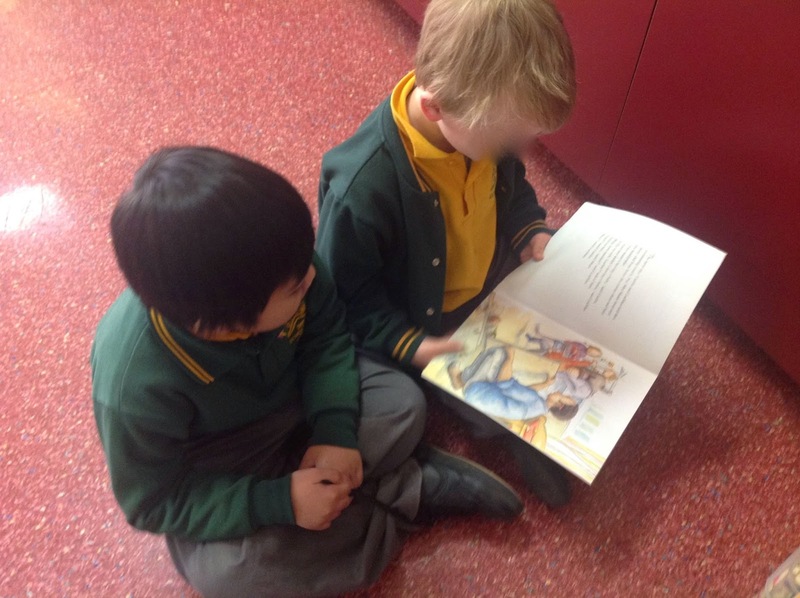 The next time we did Read to Someone he picked Stephen as his partner (another reluctant one). At the end of the session they both came over and asked if I had more Billy and Blaze books. I showed them what I had. Soon one of them had shares with the third little guy. They found a list of all the B and B books and asked me to order the ones I didn't have. The next day they were back asking me if they'd arrived! They read all the books and told me they had a plan to make money over the summer so they could buy a set for themselves! I saw that Read to Someone had allowed them to connect with each other and stimulated an interest in reading that might not have happened if they hadn't had a chance to read together.